With over 3 decades of experience, Saffron Investigations is proud to be South Florida’s premier private investigation firm, serving businesses and individuals throughout Fort Lauderdale and the surrounding areas. 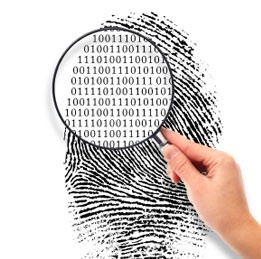 From employee background checks and domestic investigations to computer forensics and fraud investigations, our private detectives have extensive experience with all manner of private investigations, and an in-depth understanding of their specific legal requirements. Our seasoned team of private investigators are well renowned in the industry. Most importantly they are committed to working with you to understand your goals and develop an investigative strategy that addresses your needs. Whether you require evidence to present in court or simply want to know if your suspicions are correct, you can count on our professional private investigators to help. Personal or professional, whatever service brings you to us, you can be assured that our private detectives will handle your case quickly and confidentially. Before you select a team of private investigators to handle your Fort Lauderdale private investigation, there are a few things to consider. Many people may offer private detective services, however few have the hands on experience, technology and knowledge of Saffron Investigations. With offices in Hollywood, Florida, we have extensive knowledge of the Greater Fort Lauderdale area, allowing us to quickly follow up on leads, set up surveillance and collect evidence. From Las Olas Boulevard to downtown Ft Lauderdale, Port Everglades to the Fort Lauderdale-Hollywood International Airport, our seasoned team of private detectives can handle investigations quickly and with complete discretion anywhere in the Fort Lauderdale area. So, whether it’s an insurance investigation at the Swap Shop or a child custody investigation near Hugh Taylor Birch State Park, you can be confident in our ability to meet your Fort Lauderdale private investigator needs and exceed your expectations. The Internet has made conducting investigations more accessible than ever, but it can only take you so far. That’s where Saffron Investigations comes in. Our private investigators can take your Fort Lauderdale investigation to the next level, providing you with the professional, focused service you need to produce results. If you are looking to pursue your case in court it is also important to ensure that your investigation is handled in accordance with all legal requirements. Evidence you have obtained through your own methods may not be admissible in court. At Saffron Investigations, our private detectives specialize in confidential, legal investigations, providing you with verifiable proof that will hold up in court. Our services can help you build a solid case, while upholding all legal and ethical standards. From marital investigations to child custody, fraud investigation to personal injury cases, Saffron Investigations is the name to know for exceptional Fort Lauderdale private detective services. Let our private investigators provide you with the services you need and the peace of mind you deserve. Contact us today to get started. Our outstanding, professional private investigators appreciate the opportunity to meet your needs and exceed your expectations.